"Can I get a glass of America, please?" 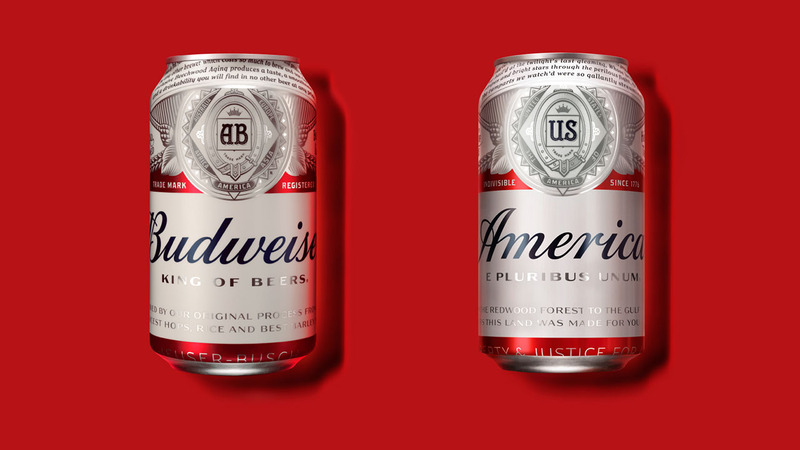 Anheuser-Busch announced today that it will replace the Budweiser name with "America" on 12-ounce cans and bottles beginning late this month. The campaign will run through the election in November. "Budweiser has always strived to embody America in a bottle, and we're honored to salute this great nation where our beer has been passionately brewed for the past 140 years," said Ricardo Marques, Vice President of Budweiser. Anheuser-Busch says in addition to the name change, phrases from the Pledge of Allegiance and lyrics from "The Star Spangled Banner" and "America the Beautiful" will be added to the label. The products will be rolled out as part of a marketing campaign called "America in Your Hands." Budweiser will feature the beers at events on the Fourth of July, at the Copa America Centenario soccer tournament, the 100th anniversary of the National Park Service, and the 2016 Summer Olympics.